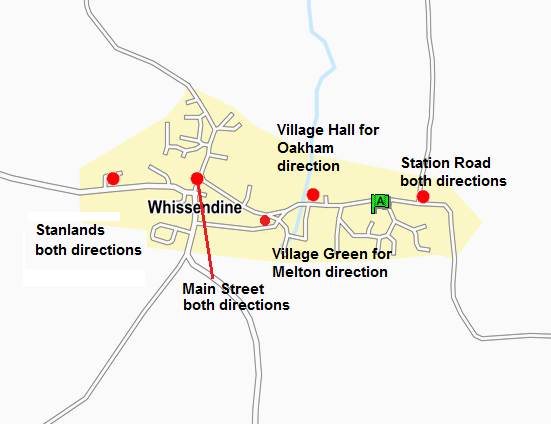 Whissendine sits on three bus routes, it is 5 miles from two local train stations, Oakham and Melton Mowbray, and it is 20 miles from Grantham with fast rail links to London (approx journey time 1 hour). Visit the transport page of Rutland County Council. To plan a journey by rail or bus, or find a timetable, visit Traveline.